Anyone remember Seinfeld's episode of "Bizarro World," where everything just seemed to be the opposite of the real world? Some days while browsing the news, I wonder if somehow we are living in our version of that episode. A couple of weeks ago we reported on a campaign JanuHAIRY, where women are being encouraged to stop shaving their legs and armpits, and how women are actively trying to make themselves appear more masculine, while at the same time we see a liberal and media campaign to feminize the Alpha male by turning them into Beta soy boys. On Wednesday of this week Stefan Stanford addressed the idiocy of the war against men by pointing out that radical feminism is destroying America. He highlighted the statistics showing the damage that has stemmed from the lack of male figures in the lives of children, single mother households are directly associated with the rise in drug use and crime, educators being majority female, etc..... which leads to the logical conclusion that America needs more real men and less soy boys. Stefan's article stemmed from a new controversial campaign ad by Gillette Razor which gives the impression that "men are bad" and need to be better, and personally I think he did an outstanding job in responding to the attempt on the part of feminists, liberals and the media to create a stereotype of the American man as some bearded neanderthal, scratching his testicles and waiting to drag women off to a cave by her hair. The fact is Gillette is Proctor & Gamble's razor company and the commercial had absolutely nothing to do with shaving at all, but rather decided to join the war on what liberals perceive as "toxic masculinity," which is what normal people see as simply being a man, not some feminized, dress donning, make up wearing "gender neutral" thing. 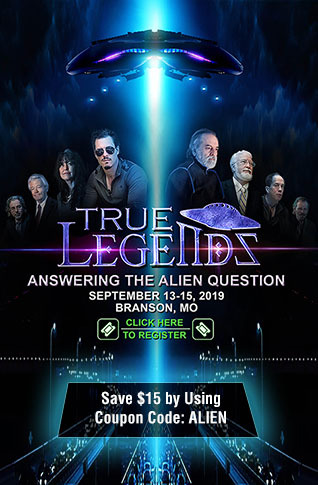 Well now another company is jumping into the battle and highlighting what Gillette missed as they ask "What is a man?" They labeled their 1:57 minute video as a "Response to Gillette," and ladies and gentlemen, what a response it is. Dedicated to all those who sacrifice everything to make the world safer and better for all of us. With an image of a firefighter carrying a child from a building, Egard Watches points out that 93 percent of workplace fatalities are male, asking sourced to the Bureau of Labor Statistics, with the narrator asking "Is a man brave?" With an image of a soldier, the "short film" shows that 97 percent of war fatalities are male, sourced to U.S. Department of Defense, the narrator asking "Is a man a hero?" With images of fathers taking care of their children, they also show that 79 percent of homicide victims are male, sourced to UN Office of Drugs and Crime, with the narrator asking, "Is a man a protector?" An image of a man hugging his little girl, they show that nearly half of fathers without visitation rights still financially support their child, sourced to the U.S. Census Bureau, the narrator asking "Is a man vulnerable?" Highlighting that 80 percent of suicide victims are male, sourced to the World Health Organization, the narrator asks "Is a man disposable?" Then it shows that 75 percent of the homeless population are male, sourced to the National Coalition for the Homeless, and the narrator asks "Is a man broken?" Two companies, Proctor & Gamble's Gillette, and Egards Watches. Gillette trashes men, who most likely make up the majority of their market (which I will explain more about below) and Egard Watches decides men should be celebrated for everything they do, give and sacrifice. The contrast between these two companies cannot be any starker. In a social media response the CEO of Egard Watches explains why he felt it was important to respond to Gillette. "Hey, I'm the CEO, Ilan. I can not tell you how many people told me not to make this video and how it would ruin my brand etc. People have become scared to portray men in a positive light and that realization made me realize I had to do it even if it meant risking something that means so much to me. I made this brand for my father as a tribute to him....I made this video alone....it's my voice, my editing. I feel that standing up for what I see is the best tribute to him as well. It means a lot that other people such as yourself feel the same." Back to the HAIRY women for a moment. 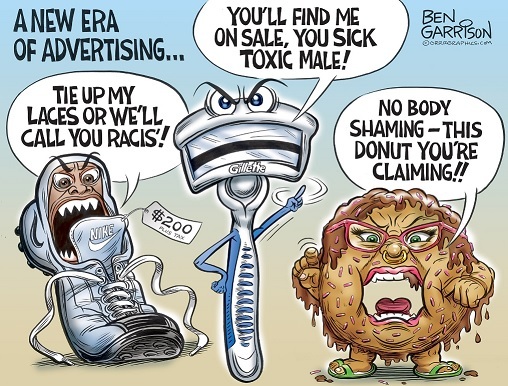 It is radical feminists making some type of "political statement" by deciding the grow out all their body hair, with more celebrities showing off armpit hair and hairy legs,that are the same group that is pushing the "toxic masculinity" war against men, and Gillette somehow thought it was a good idea to trash men, who by and large still use razors, even those with beards usually trim them, in favor of the #MeToo radical feminists that are becoming more and more opposed to shaving their own body hair? What business thinks it is a good idea to insult and belittle the majority of their customers in favor of the dwindling portion? There is nothing more "sexist," to use the language that liberals love to spew, as treating an entire group (men) as if they are "toxic" simply because they were born male. Feminist man-haters should take note of the partial chart shown above, because as a statistical fact, most of those same feminists wouldn't be able to feed themselves if the male truck drivers were delivering food to the grocers. Most would not have homes to live in without the carpenters, brick and block masons and cement masons and concrete finishers. They would also likely freeze or die of heat stroke without the 99% of men that provide heating, air conditioning for them. The real topic that should be addressed given these attacks against men by radical feminists, is "toxic feminism," but that in and of itself, would take an entire article....... stay tuned, I plan to address it soon.